Beautifully done collage or mosaic .. . Whatever you call it, it is a work of art. Great quotes and lovely images. 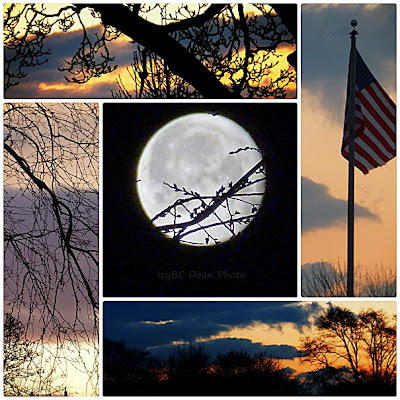 The sky and flag shots are beautiful..Enjoy your week ahead! Really like your mosaic of shots. Lovely, lovely shots and the quotes are perfect!! An excellent collage, love the moon shot! Lovely collection of sky shots. That is a wonderful collage and I like the thoughts here.